On average, a new species is discovered in the Greater Mekong Subregion (GMS) every three to four days. It is one of the most biologically diverse areas on the planet, which is why researchers have taken such a keen interest in it. Unfortunately, there’s also habitat destruction, illegal wildlife trade and other human activities. This means we will lose many species to extinction before we can even discover them. Now researchers are in a rush to find and study these species before human activities drive animals to extinction. Every year, the World Wildlife Fund puts out a report detailing all the new discoveries from the region. These include species of fish, plants, insects and even new species of mammals. From 1997 to 2015, researchers have discovered 2,409 new species in the region. In the last 30 years, however, human activities have decreased the forest by 30 percent. Where is the Greater Mekong Subregion? The region is comprised of five countries: Cambodia, Laos, Myanmar, Thailand and Vietnam. There are 300 million people that inhabit the area. Experts believe 80 percent of the population relies directly on the local ecosystem for food security. There are 60 million people living in the lower Mekong basin. They rely directly on the Mekong River for their survival. The river is particularly rich with wildlife — there are three times as many fish per area than in the Amazon. According to the World Wildlife Fund, the area is home to more than 430 types of mammals, 800 reptile species, 1200 bird species, 1100 types of fish and over 20,000 different plant species. In other words, it is a biodiversity-enthusiast’s dream. What have researchers discovered in the region? 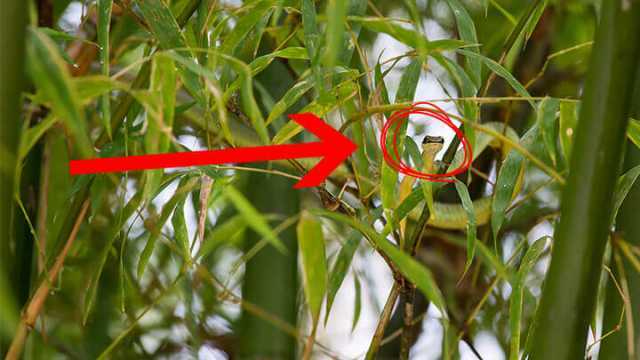 The world lost David Bowie this year, but his snake doppelganger was discovered in Laos. The unique color patterns found on the snake’s head evidently reminded researchers of the famous singer. Researcher Alexandre Teynié discovered the species. He deemed it unique from close relatives due to the number of scales and upper teeth, as well as it’s Bowie-esque haircut. The team, led by Teynie, later found another member of the Parafimbrios species in another region of Laos. It shouldn’t be a surprise that some Star Trek fans occasionally discover new species in the Greater Mekong Subregion. After all, the phrase “to boldly go where no one has gone before” could also apply to researchers in the area. Dr. Porrawee Pomchote and his team of researchers discovered this six- to seven-centimeter-long newt in Thailand. Evidently, they felt the newt resembled the Star Trek klingon species enough to be named after them. Pomchote first began researching the species in 2007. This species of newt is unique from any other, due to a unique dorsal ridge and markings. Because of their size, mammals tend to be easy to find. That’s why it’s particularly exciting when researchers find a mammal that hasn’t already been discovered. It took until the 1990s for humans to discover the saola, a bovine species related to cattle and goats. Researchers found remains of an individual member of the species in 1992. They later photographed one in the wild for the first time by a camera trap in 1999. Saola are distinguished by unique pointed horns, found on both males and females. They can reach as long as 20 inches. Very little is known about how many saola exist. Estimations of saola populations range from a few dozen individuals to several hundred. The Greater Mekong Subregion contains the largest combined wild tiger habitat left on the planet, with 540,000 square-kilometers of forest area still remaining. 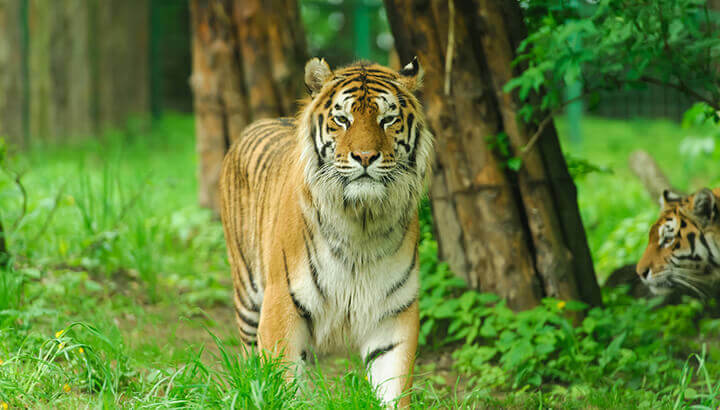 In 1998, researchers estimated the Indochinese tiger population in the Greater Mekong Subregion at 1,200 individuals. However, researchers now estimate that there are only 200 left. Tiger populations have been decimated over the last century. They’ve lost much of their historical range due to deforestation and habitat loss. Tigers are also one of the most vulnerable species to poaching. Since wildlife experts implemented global efforts to double tiger populations by 2022, they’ve seen populations beginning to increase. Eliminating the illegal trade of tiger parts to be used in traditional medicines will be crucial in these efforts. With increasing human development encroaching on this area of rich biodiversity, many of the species in the area are at risk. 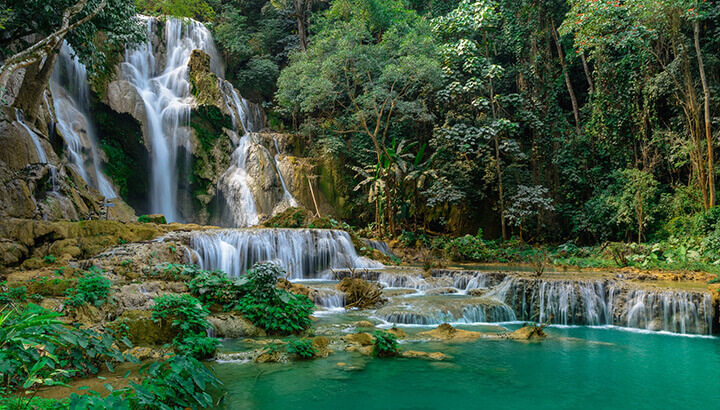 In the last 30 years, the Greater Mekong Subregion has lost 30 percent of its forested areas. Increasing development of hydropower is one of the more impactful trends in the region. Twelve hydropower projects are set to begin on the Mekong river, involving large dams that have potential to greatly impact the surrounding ecosystems. Climate change and the illegal wildlife trade also put the survival of the region’s biodiversity at risk. What species are at risk of becoming extinct? The World Wildlife Fund estimates that without action, several rare species in the area run the risk of extinction in the next five years. These include animals such as the saola, Asian elephant and the subpopulation of Mekong dolphins. In 2011, researchers confirmed that the last Javan rhinoceros in Vietnam had been killed. Sadly, the final individual was found dead in 2010. Its horn had been removed, all but assuring that it had been an act of illegal poaching. The World Wildlife Fund is on the ground in the region, working with local governments to implement a large-scale conservation program. But doing so comes with many challenges. For starters, the area is developing quickly. The desire for energy is driving many hydropower projects into development. The organization is looking to work with governments in the region in the hopes that these projects will cause as little environmental degradation as possible. Support the World Wildlife Fund’s efforts by making a donation through this link. Help the Saola Working Group protect the rare mammal by signing up to receive updates on their work through this link. Get involved in the global effort to increase tiger populations by following any of the steps included here. Hey Buddy!, I found this information for you: "Amazing New Species Are Discovered Every Few Days In This Place". Here is the website link: https://www.thealternativedaily.com/discoveries-in-greater-mekong-subregion/. Thank you.